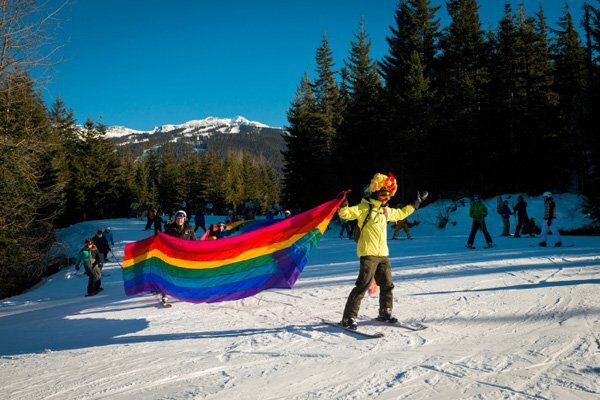 Fun times on the slopes during the Whistler Pride and Ski Festival. Photo by Mike Crane / courtesy of Whistler Tourism. Vancouver native and Arnette Stricker is constantly searching for her next adrenaline rush. When she's not blogging about faraway places or her current home in Los Angeles, she's visiting family and hitting the slopes in Whistler. Here's how she suggests closing out the cold season. WHISTLER, British Columbia – There may be great mountains just a quick drive from Los Angeles, but nothing beats the mountains back home in Canada, where the resort town of Whistler is just two hours north of Vancouver. A year-round destination, Whistler is mostly known for its dual-mountain winter resorts, Whistler and Blackcomb. If it's a cold-weather pursuit, they have it: skiing, snowboarding, cross-country skiing, snowshoeing, snowmobiling, skating, heli-skiing, you name it. 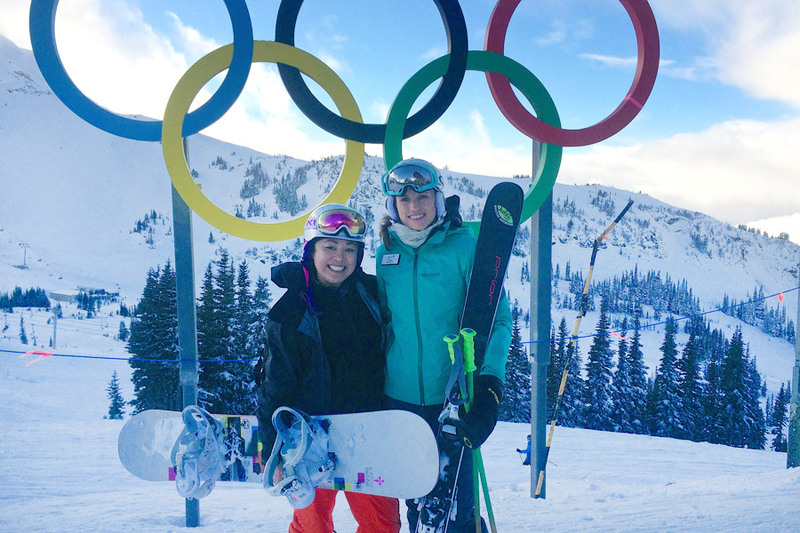 Whistler, along with Vancouver, hosted the 2010 Olympics and is one of few places where sporty types can try Olympic sports like and and spend the day . Arnette with Olympian Julia Murray. Photo by S. Lusk. Peak 2 Peak Gondola ride. Photo by RTW Girl. The thrill-seeker in me signed up for bobsledding at the . I definitely started having second thoughts while signing waiver forms and watching sleds zip past me. When it was my group's turn, I hoped that the forty seconds would feel like one. But at the top of the course when the sled went quite slow, I laughed at myself for having been scared. Then we hit a turn and sped up, peaking at 76 miles an hour. Everything I learned in the pre-ride briefing flew out of my brain when we hit those break-neck speeds. I felt like a human bobble head. When we finally got to the bottom, I was happy to be alive. I was done, but if you're the kind of person who likes to keep the blood pumping, you can go winter bungee jumping, zip-lining, ice climbing, and dog sledding. 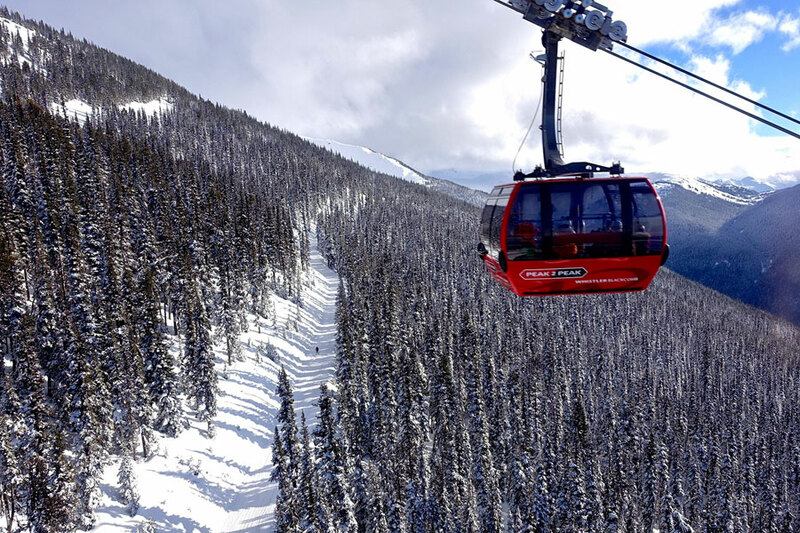 Families can sleigh ride, toboggan, or ride , the highest and longest gondola in the world that connects Whistler and Blackcomb Mountains. 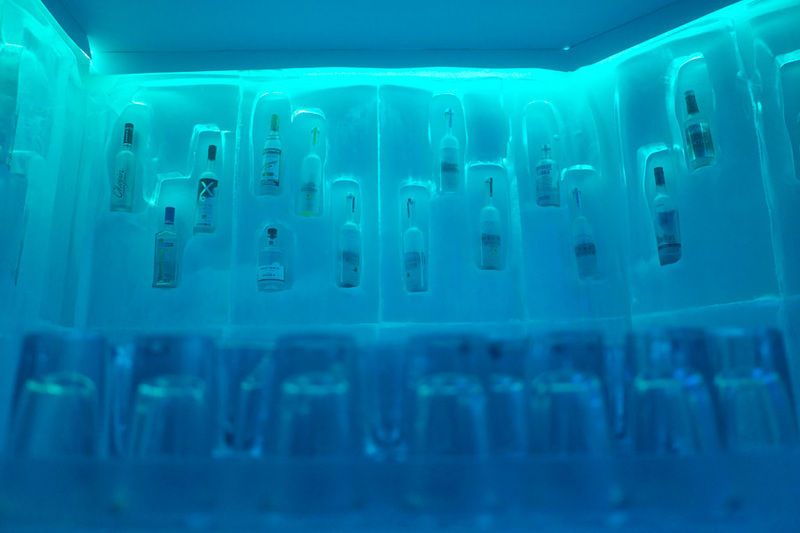 Bearfoot Bistro's Belvedere Ice Room. Photo by RTW Girl. When not getting schooled by an Olympic athelete or breaking speed limits down the mountain, there are many ways to keep busy in Whistler Village, which locals simply call the Village. End a day on the mountain with drinks and snacks at or at the base of Whistler and Blackcomb Mountains. Have the classic Caesar cocktail, a Canadian twist on the bloody Mary. is the coldest ice room in the world. You'll want to zip up your Canada Goose jacket before sampling vodkas from all over the world. For late-night action, head to and . 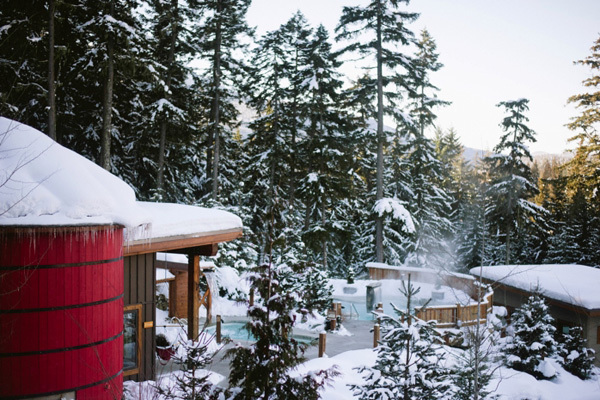 is a Scandinavian-style spa nestled in a forest with views of Whistler's peaks and valleys. Get a massage, sweat it out in a Eucalyptus steam room or a Finnish sauna, or take the hot/cold plunge with Nordic hydrotherapy. Alta Bistro. Photo by RTW Girl. 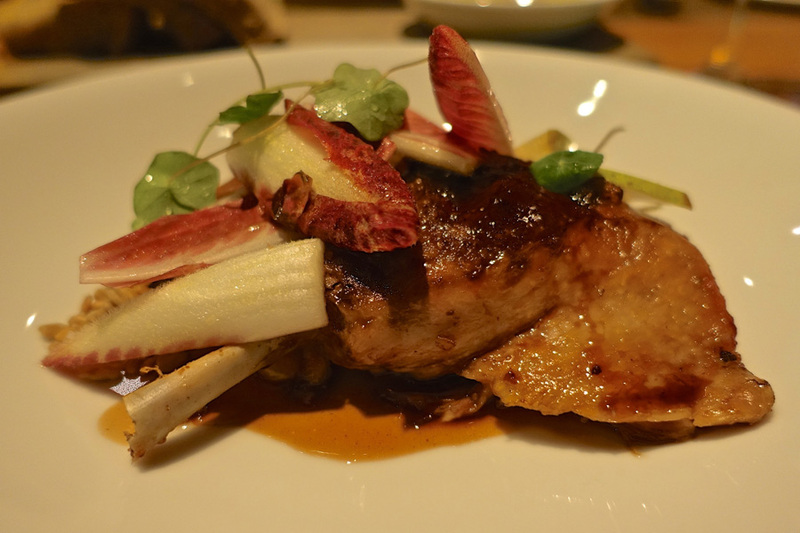 New to the scene, the very relaxed serves a seasonal menu with locally sourced ingredients and craft beers. Take a break from the black diamonds for a sit-down meal away from the ski-lift crowds at . The patio offers panoramic views and the menu offers comfort foods with a classy twist. began as a humble farmer's market and morphed into three full-fledged bakeries (two in Whistler and one in downtown Vancouver) where you can pick up bread, cakes, and treats along with coffee or tea. If you're staying south of the Village or want a change of atmosphere, make your way to Creekside to dine in one of the restaurants at . The refined Aura restaurant sources its ingredients from local farmers, fisheries, foragers, and, in warmer months, its own rooftop garden. Cure Lounge is a great place to share plates and drinks après-ski. Start your mornings with (gluten-free) baked goods, coffee, smoothies, and juice at local favorite Fix Café. Photo courtesy of Nita Lake Lodge. The classic is situated at the base of Blackcomb in Whistler's Upper Village but is still close to the action. Stay here to experience a ski-in and ski-out property with full amenities. is located on Nita Lake in Creekside, away from the noisier Whistler Village. It has spacious suites, rooftop hot tubs, and an intimate spa. Take their complimentary shuttle into the Village or get up the mountain faster on the nearby Whistler's Creekside gondola. The night goes on. 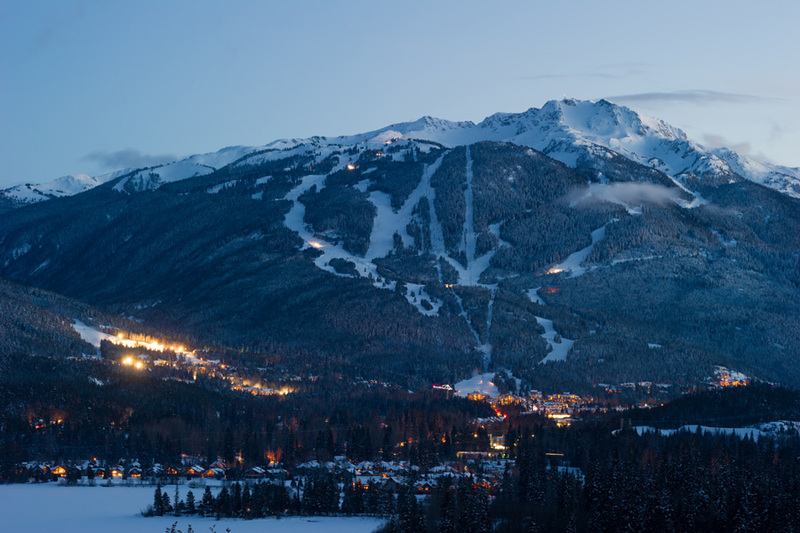 Photo by Mike Crane / courtesy of Whistler Tourism. 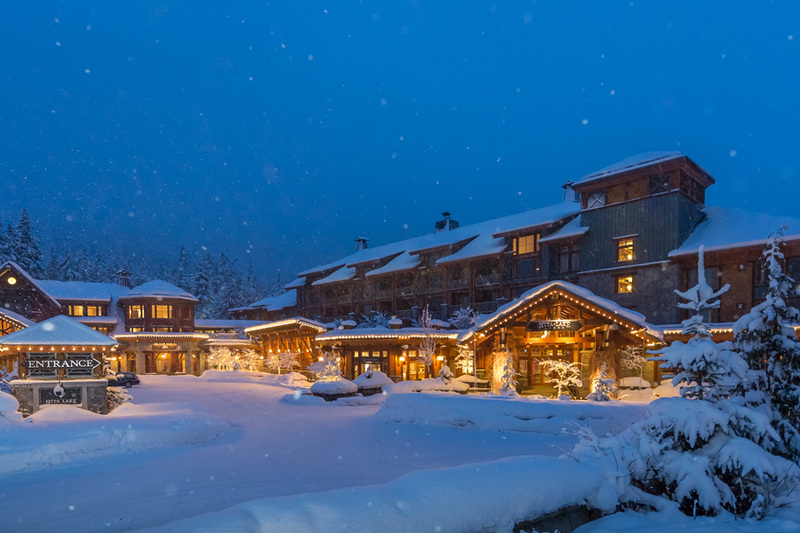 We never know what Mother Nature has in store for Whistler from year to year. January had me riding powder in the sun. Since then, spring has sprung on southern British Columbia. Thankfully, Whistler Blackcomb is still in winter operation mode due to a strong start early in the season, 270 snow guns, and relatively cool temperatures. It's still winter — there are 7661 acres open. Whistler Mountain is slated to stay open until April 19; Blackcomb Mountain, May 18. Whistler is a scenic, two-hour drive north of Vancouver. For a car-free holiday, take the bus service from Vancouver Airport or select stops in the city's downtown core. , formerly known as WinterPRIDE, is one of North America's biggest gay and lesbian ski events. The celebration of diversity has been held every January for over two decades. Every year in April, the — the biggest annual gathering of winter sports, music, arts, and culture in North America — happens in Whistler. There are free outdoor concerts, a photography and film contest, and lots of partying. Arnette is a freelance writer based in Los Angeles, she also write for her own blog, . You can follow her on , , and at @RTWGirl. She travels for the uncut stories, unforgettable meals, and friendly locals' smiles.